Ancient historians occasionally become concerned about their image. Stress levels rise every time a scholar needs to pick the perfect outfit for a job interview or the occasional lecture. Some of us are even concerned about our every day clothes. I often catch myself thinking, what do I wear today for my Staff and Student Committee meeting? O vanitas vanitatum! When in such a dilemma, I look for advice. Or, alternatively, I follow the fashion sense of my role models. These are not Givanchy, Valentino or Armani. Do not get me wrong, I follow fashion closely and I would have loved to be able to afford some of their pieces. However, I took a vow of poverty when I entered the profession, as I suspect did thousands of other historians, classicists and archaeologists. My true role models are my senior professors. 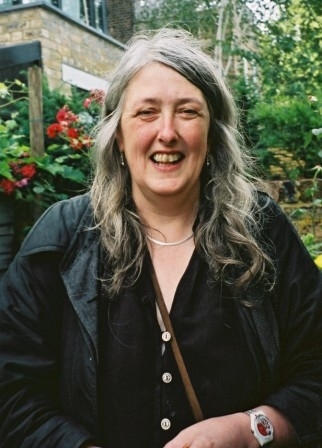 As an example I present here a picture of Mary Beard, an eminent classicist and Cambridge Don, whose blog I follow religiously. Understatement should be the order of the day. Avoid extravagant outfits, feathers, bright colours, flashy jewelry, heavy perfumes, wide brimmed hats etc. Suppress the expression of your sexuality as much as that is possible. Avoid high heeled shoes (also for medical reasons), miniskirts, ripped off jeans, low cut tops, see-through blouses. Do not wear expensive clothes. We do not have the opportunity to work in Management or Law Departments, where fashion shows take place regularly. Our colleagues are as poor or poorer than us. An expensive dress will raise eyebrows and cause either petty jealousies or create antagonism. Keep it simple. Even classicists who study sculpture of the baroque Hellenistic period should be able to appreciate the validity of this rule. Be comfortable. Bear in mind that for most of the day you will be standing or running around in errands or receiving students and colleagues in your office. You will need a pair of sensible shoes, a warm cardigan or pullover, comfortable trousers or skirt and a heavy jacket. I would suggest that you use these clothes also during the beautiful British summer! I will add here a personal note. In this gloomy climate you should avoid wearing black clothes. It attracts negativity and affects your mood. If you still like dark colours, try navy blue or khaki green. Alternatively, if you decide not to follow my advice, wear your outfit with confidence and I am certain that eventually others will follow YOU. More Tweed! Keeps out cold, wind, damp, thorns, knife attacks from students who’ve missed out on ‘their’ 2.1, and can be far more stylish, especially if combined with shirt/blouse in sufficiently bold colour, than the usual tramp/bag lady style of British academia. No wonder they don’t take us seriously when we still dress like refugees from the early 70s. How true! Should we allow our students to give us seminars on how to dress? Maybe they can pay us back for all the hours we put in caring for them! I am surprised, though, that you answered this post. I thought that women academics would be mostly interesting. But, of course, Neville you do have a sense of fashion.